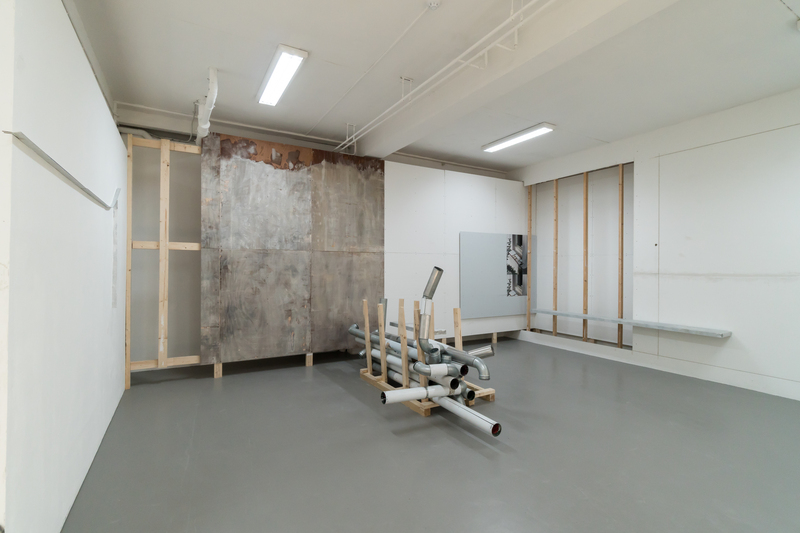 Will it really take place collects the results of the homonymous exhibitions series that took place at P/////AKT in 2011 – featuring Jan Bokma, Herman van Ingelgem and Maurits Koster (artists) – and reflected upon by VenhoevenCS architecture+urbanism (moderator). 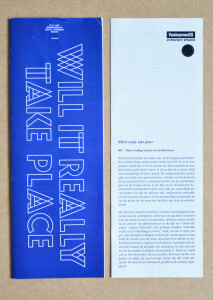 Will it really take place, P/////AKT, 2011 (1.). 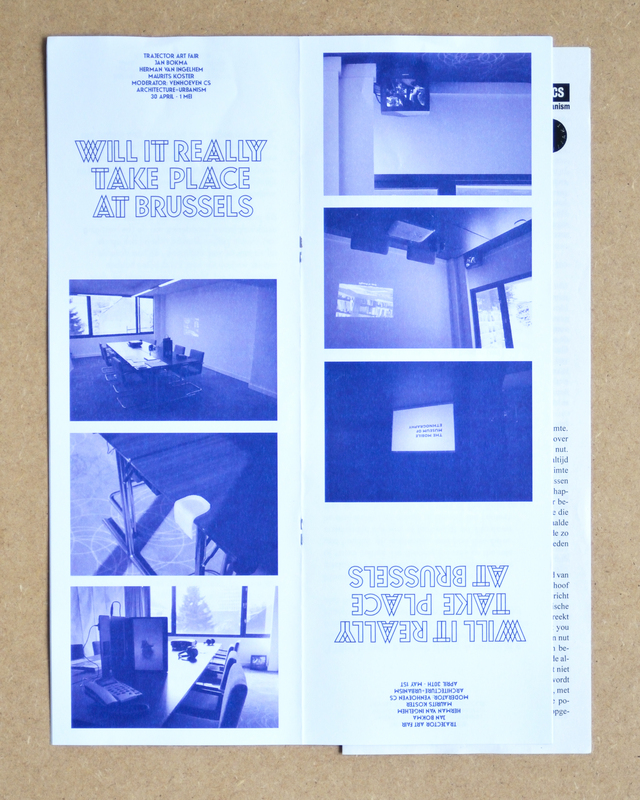 A publication including a separate text: Will it really take place by VenhoevenCS architecture+urbanism, 2011 (1.1). (1.) 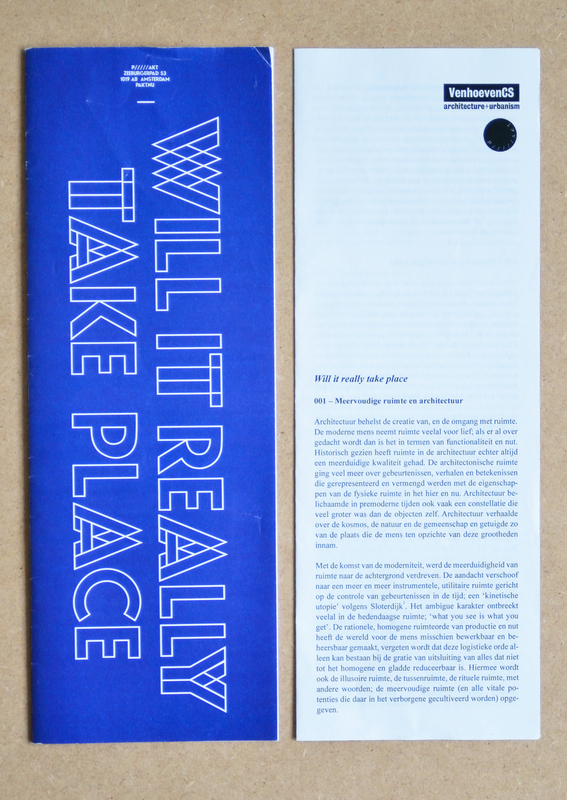 Will it really take place, P/////AKT, 2011. Physical Description: 9 p. : ill. colour; 10,5×30 cm. (1.1) Will it really take place, VenhoevenCS architecture+urbanism, 2011. Physical Description: 2 p. pamphlet : b/w; 10,5×30 cm. This publication is not for sale. For more information contact us here.